Have you ever played that game, where you pick three words, and then try to write a whole story around them? What? You haven't! Damn! Blast! And... errr... asparagus! My mate Steven has. And he told me about the end result only the other day, whilst creating an entire adventure around a rock, a piece of paper, and a pair of scissors. 1) What are your own origins, Steven? Plus what path did you take in life prior to getting to where you are today? Born in Brooklyn. Went to a religious school growing up. Teachers told my parents comics were bad for me (I had a habit of jumping off ledges and yelling, “I'm Superman”), so it wasn’t until I was a teenager that I actually started reading them, though I still had to sneak them into the house. As far as writing and drawing, well, I've always done that for as long as I can remember. I used to put out zines in high school and college and only got back into making comics and drawing a few years ago... and here I am. 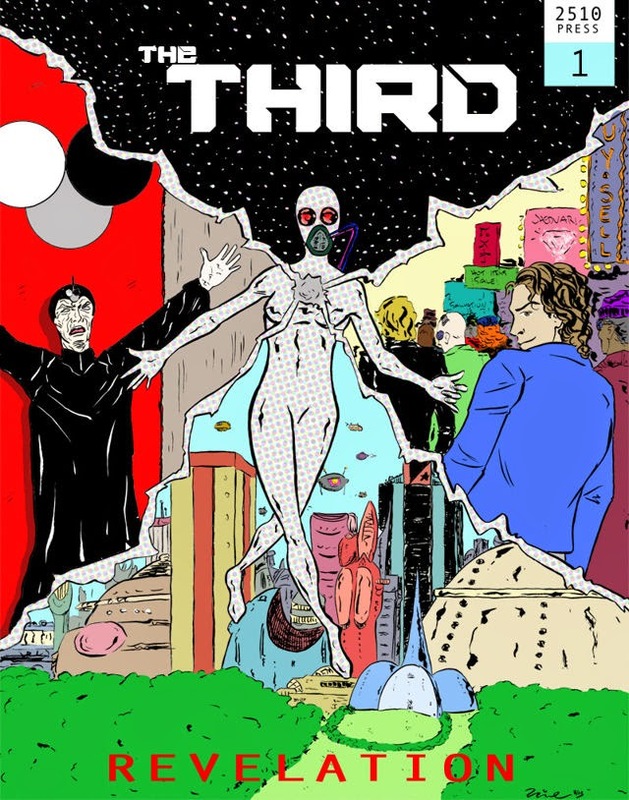 2) What inspired you to create your comic book, ‘The Third’? This started as a writing exercise -- pick three words at random from a book and then build a story around it. The three words wound up being Thief, Treasure, and Father. From there I developed the story and wrote the script. Like most stories it wound up taking on a life of its own and here we are. 3) Can you briefly tell us what this comic is all about? When Anneli Sur Michio stumbles across The Third, a mythical object of faith and untold power, Don Maximus, head of the Universal Church and true power in the galaxy, will stop at nothing to secure it from her. On the run for her life, she gets involved with Devan, a clumsy thief with a shady past. Together, they must outrun the crew of bounty hunters sent to kill them and stay alive long enough to unlock the mystery of The Third. That is, if they can stop from killing each other first. 4) What song would you say best represents your story and why? Not so much a song, but when writing this story I was very influenced by the poem, “Eternity”, by Arthur Rimbaud. It informed the journey the two main characters go on. 5) If you could get a celebrity – either living or dead – to promote your wares, who would you choose, and why would you want to choose this particular person? Kim Kardashian: For whatever reason, people seem to listen to her and buy what she tells them to! 6) What have you learnt about yourself through this endeavour? And were their any unforeseen obstacles you had to contend with along the way? As far as obstacles go, I'd never drawn anything of this length or scale. Drawing an individual picture is one thing, but a comic is a whole other discipline entirely. I learnt a lot “on the page” and hopefully that shows. 7) During your time in this field, what is the one thing that has kept you in good stead? Nice and encouraging people. Fantastic sites like yours that give time and space to indie creators like myself helping to get our work out there and build and audience. 8) If ‘The Third’ had a motto, what would it be? “Find your own way”. Yep! I couldn't have said it any better myself. 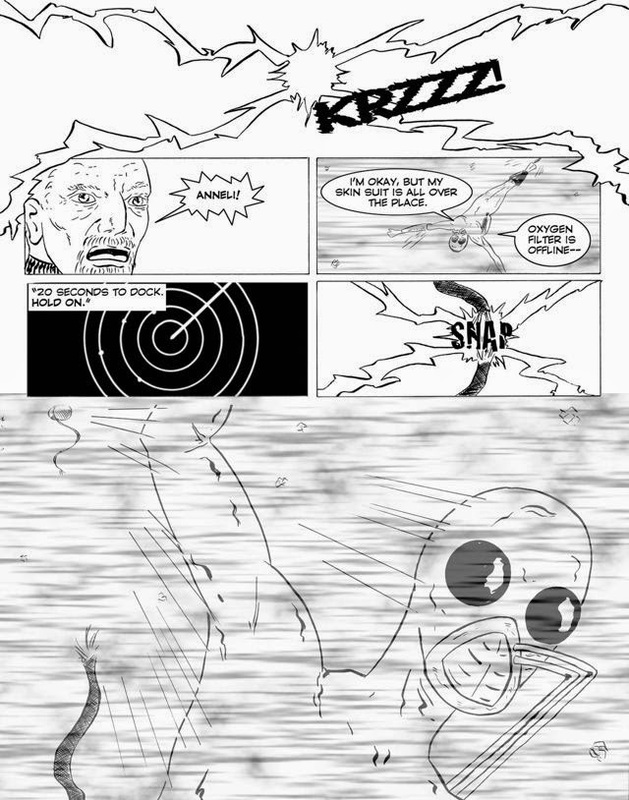 And so on that note, dear reader, I'd like to thank my mate Steven for telling us about his comic book, The Third, before directing you towards his website and official comixology pages.